The Beatles only made number 40 in the singles chart. 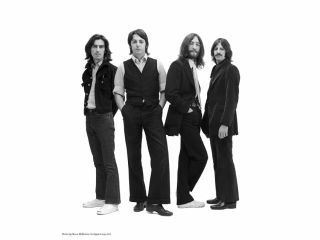 All the speculation that The Beatles' arrival on the iTunes Music Store might lead to the band's most famous songs re-appearing in the upper echelons of the UK singles chart appears to have been misplaced. In fact, only one song, Hey Jude, reached the top 40 on Sunday - at number 40. The Fab Four's impact on the albums chart wasn't much greater, with just the Blue and Red greatest hits sets scraping in at numbers 32 and 33 respectively. We should say that The Beatles only appeared on iTunes on Tuesday, giving them less than a full week's worth of sales, but given the massive publicity surrounding the deal, it's still a slightly surprising result. Things could change, though - this year's X Factor contestants performed Beatles songs on Saturday's show, and if anything's going to convince people of the quality of the band's original recordings, that surely will.